What is strange about this graph? Look at this site to explore bonding. The section on IONIC bonding is relevant for matter made of ions. A good animation illustrating ionic bonding. 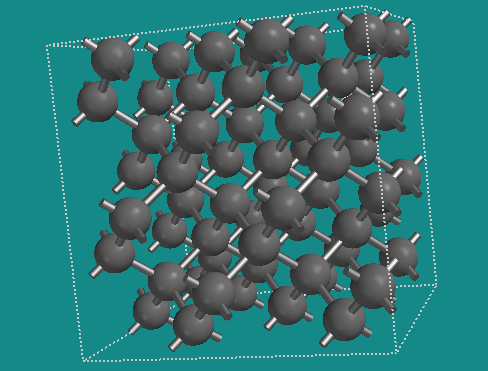 Crystal structure of diamond. Notice that there are no "breaks" in the crystal structure. How does soap dissolve grease?